Superbugs, those pesky bacteria that have evolved to become resistant to antibiotics, are on the rise and pose a very real threat to humanity. Antimicrobial resistance is a large and growing problem, with the potential for enormous health and economic consequences for the United States and the rest of the world. According to CNBC, the media outlet which reported on a new OECD (Organization for Economic Cooperation and Development) report, released Wednesday, superbug infections could cost the lives of about 2.4 million people in North America, Europe, and Australia over the next 30 years unless more is done to stem antibiotic resistance, which is already high across the globe. Resistance is also projected to grow even more rapidly in low- and middle-income countries. In Brazil, Indonesia, and Russia, for example, between 40 percent and 60 percent of infections are already resistant, compared to an average of 17 percent in OECD countries. In these countries, the growth of antimicrobial resistance rates is forecast to be 4 to 7 times higher than in OECD countries between now and 2050. About 29,500 persons die each year on average in the United States from infections related to eight drug-resistant bacteria. By 2050, that number is expected to rise sharply. It is estimated that antimicrobial resistance will kill about 1 million people in the United States, in just over 30 years. Earlier this year, the U.S. Centers for Disease Control and Prevention (CDC) warned it had detected 221 strains of a rare breed of “nightmare bacteria.” This bacteria is virtually untreatable by antibiotics and have special genes that enable them to spread their resistance to other germs. Nightmare bacteria is particularly deadly in the elderly and people with chronic illnesses. The probability of developing a resistant infection is also significantly higher for children up to 12 months of age, and men are also more likely to develop resistant infections than women. Nearly half of the resulting infections prove fatal. The best thing to do right now is educating on antibiotic-resistant superbugs and how to prevent them. As with the HIV epidemic, knowing how to prevent infection is tantamount to getting these superbugs under control. It’s also something that can be done on your own without anyone else’s help. 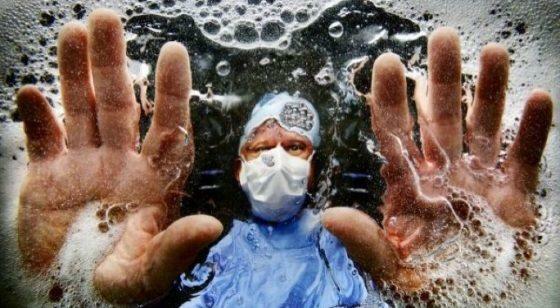 Promoting better hygiene and sanitation among health-care workers, ending the overprescription of antibiotics, testing patients more quickly to determine whether they have viral or bacterial infections, delaying antibiotic prescriptions by three days, and creating more public awareness campaigns could all help counter one of the biggest threats to humanity.